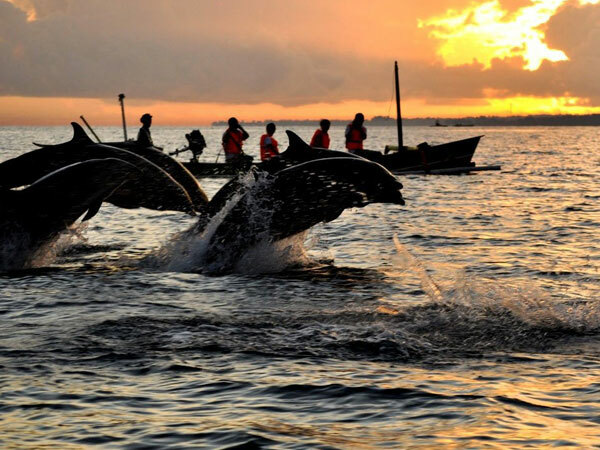 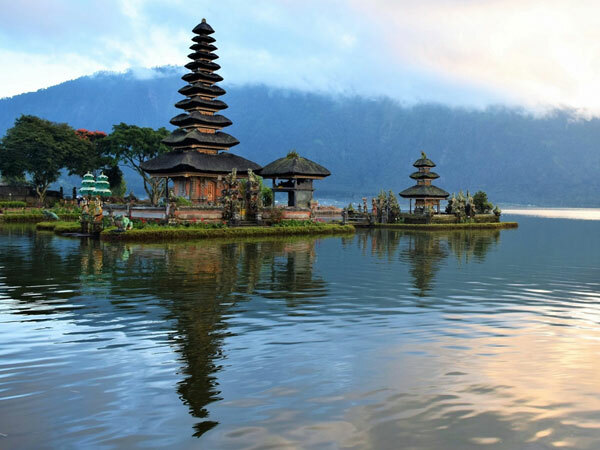 Dolphin Watching Tour - Bali Dolphin Watching Tour at Lovina Beach is one of our best Bali full day tour package to see the Dolphins in this quiet and laid back coastal town in North Bali and combine a visit to Gitgit Waterfall and Ulundanu Beratan Lake & Temple. A typical morning starts off at the coast around 5.30am. 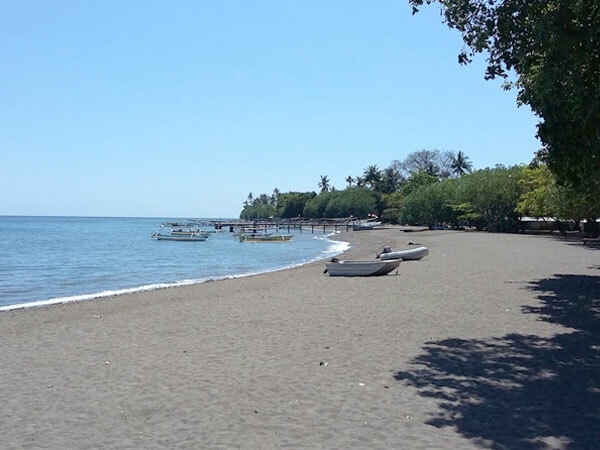 You’ll have to get up early at 2.30-3.00am then we directly to Lovina beach to catch the traditional boat to see the Dolphins and the guys are usually on-time, ready and waiting with their boats on the Lovina beach. 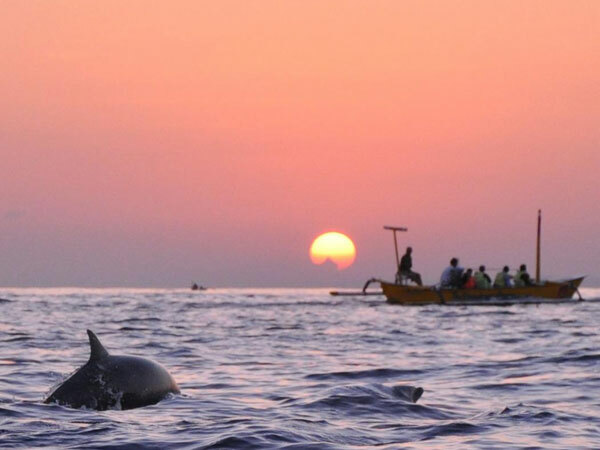 You can see several different species of dolphins, but the most common are the dark-skinned spinner dolphin (Stenella Longirostris) who visit Lovina Bay all year round. 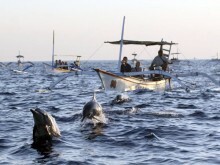 Avoid the rides between February and April, when the bad weather becomes unfavorable for the fishermen and the dolphins themselves. 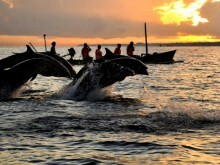 Bali dolphin watching tour at Lovina Beach usually lasts up to one hour.